The CLUTCH Club web site features 60 original stories documenting aspects of life in Buckinghamshire, Bedfordshire and South Northamptonshire between the last 150 years up to the present day. The stories were created by 315 local parents who worked in 60 groups under the auspices of their children’s schools and with the guidance of a Mentor who was usually one of the teachers at the school. 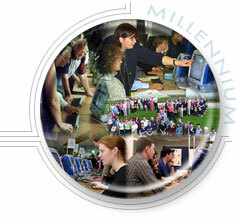 CLUTCH was conceived as a project funded by the Millennium Commission and embodied a concept designed to improve parents’ computer literacy understanding through their involvement in community history research. This ground-breaking project was managed jointly by The Open University’s Knowledge Media Institute and Milton Keynes’ Living Archive. Users can browse the stories by Topics or Location, or use the Search facility.